Anyone who works in construction probably knows a great deal about tools. Handheld, power, cordless, old-fashioned – whatever the case may be, a construction worker has probably encountered it. However, this leaves a small dilemma – what kind of tools should construction workers have for themselves? 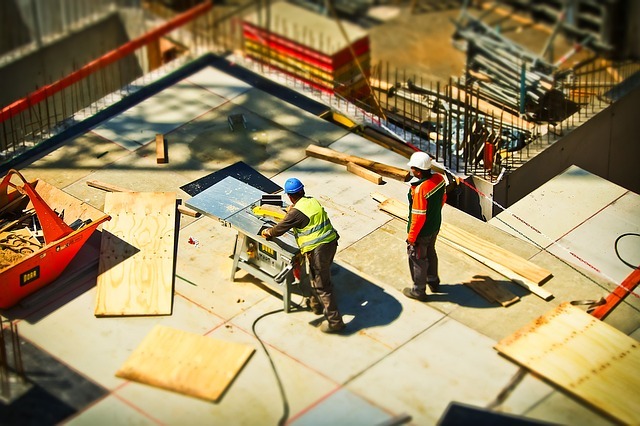 Be it for their own projects or to help out in personal time, even construction workers may need some assistance in finding the right tools for them. Even though some of these tools might be an investment, they are more than worth it. Here are just a few tools suitable for construction workers. This is not the same as a tape measure. What we are referring to is a sturdy, easy to use laser distance measure, which many of the big-name brand tool companies sell now. While, of course, construction workers can always depend on the “old reliable” tape measure, a distance measure is an amazing modern tool that every construction worker – or even just a handyman – should have. It easily fits into a pocket of a shirt or tool belt, and it measures distances with pinpoint accuracy because of the lasers it uses. The DeWalt 30-foot Pocket Laser Distance Measurer is a fantastic tool for anyone, including construction workers. Construction workers know the difficulties of, well, construction. Drilling into tough to reach spots or spots that take weird angling can be frustrating and overwhelming. The Bosch Flexiclick Drill/Driver System makes it incredibly easy to get to those difficult spots. Construction workers can appreciate the flexibility and simplicity of this drill/driver system, and they will be able to use it to finish any sized project. There are other drills and drivers though, such as the ones listed at Tool Nerds. Finding the right one for you depends on your skill level and desires, but the Bosch is a great fit for any construction worker. When we are talking about modern tools, of course lasers will come up more than once. Lasers can provide far more accuracy than basic levels and tape measures, and they are much less intrusive and easier to use. For example, the Bosch Green Beam Laser Level is a fantastic level that can provide pinpoint accuracy. The green lasers project farther than red lasers, and they are easier to spot and mark than their red counterparts. However, there are smaller and cheaper red laser levels on the market as well that will still be much more useful to a construction worker than a basic level. Many people prefer the handheld classic staplers, but the cordless staplers are far more worth the investment. They are powerful, easy to use, and much quicker than other staplers. Construction workers can appreciate the speed and ability of cordless handheld staplers. One of the best on the market is the Milwaukee 12-Volt Cordless Stapler. It uses T50 staples ranging in sizes from ¼” to 9/16”. Typically, it also comes with a carrying bag, and it has various functions and speeds. It is a great tool for stapling upholstery, insulation, vapor barriers, and more. The cordless stapler makes the tedious task of stapling simpler and more fun. For the construction workers who work with wood a lot, a track saw is a fantastic investment. They are simpler and easier to handle than table saws, and they pack just as much power into their compact casings. Many manufacturers have begun releasing cordless track saws, but one of the best on the market is the Makita 36-Volt Brushless Cordless Track Saw. It is pleasing to the eye, has a lot of power, and handles like a dream. Wood-workers will be more than satisfied with the Makita Cordless Track Saw’s capabilities, and so will construction workers. Finding the right tools for the ones who use endless amounts of tool can seem impossible, but there are tools out there specifically for the people who know exactly what they are doing. This list is just a start.